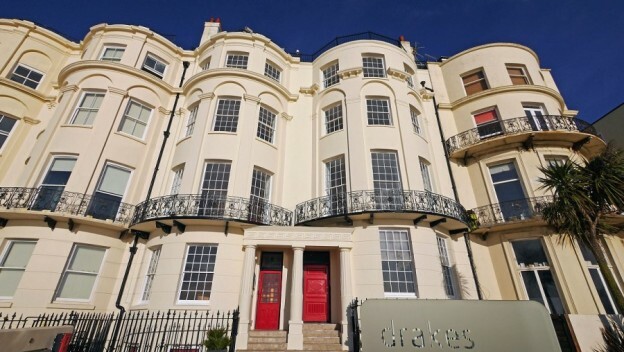 Originally two townhouses, this is a fine Georgian building with its floor-to-ceiling windows offering commanding sea-views. 15 years ago, the present owner rescued it from ruination. 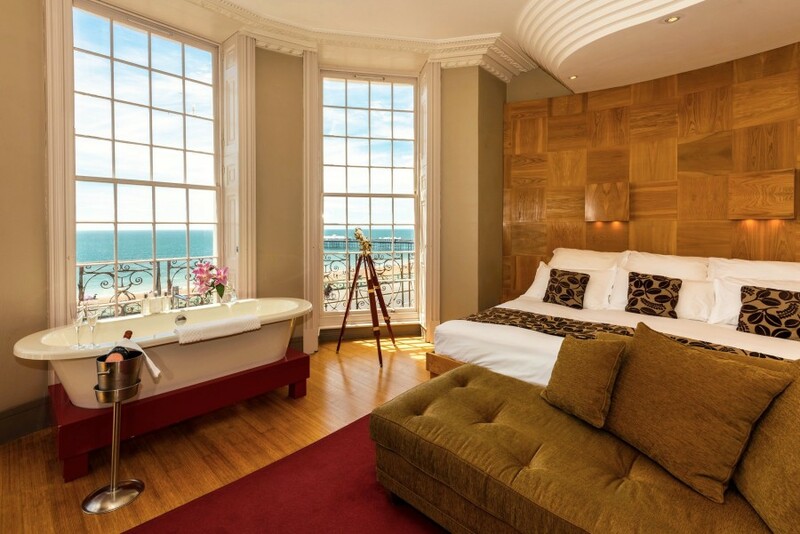 The elegant rooms with their curved elm panels, rippled stucco cornices and a touch of Poirot’s deco, provide the perfect backdrop for a romantic stay. 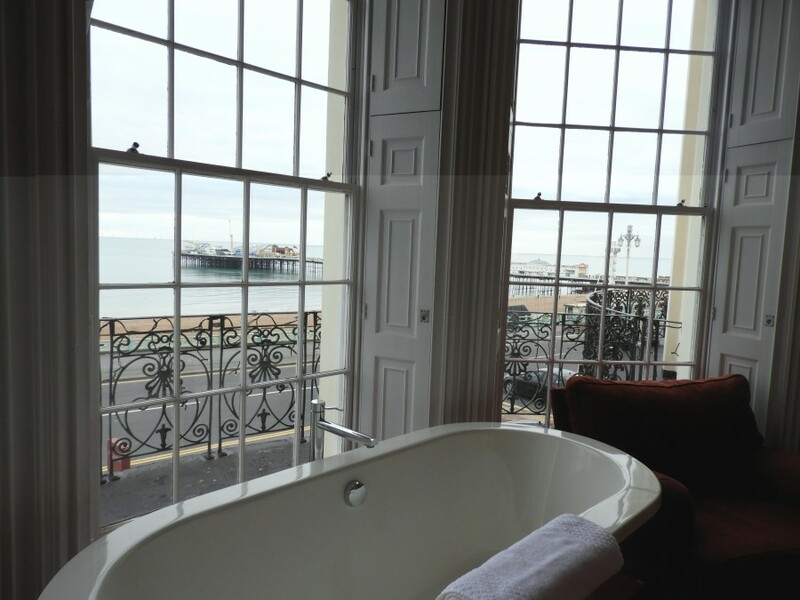 In the feature rooms, there is a freestanding bath by the window, a marvellous place to watch the pier light up just before sunset. 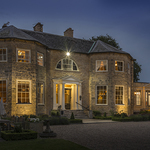 But more than the complimentary still and sparkling water, the bed linen thread counts, the soft pillows (which are so comfortable that I had to ask where they were sourced from) the gleaming en-suite wet-room with its silent fan, what stands out the most is the unique service-experience, from the minute you walk through the door. Guests of the hotel get a car-parking space, there are 15 bays allocated on a first come, first serve basis, but still, in a town where parking is famously difficult, this is a convenient extra. 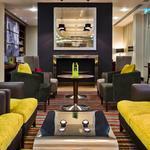 As for us, since we arrived a little early, we were gently guided to the bar-lounge where a pot of tea, promptly appeared while the final touches were put to our room. As I was apologizing profusely for our earliness, I was told, ‘Honestly, it is no trouble at all. You are here, and we will look after you’. At Drakes, clients can order a warm bubble-bath and Champagne on ice for their arrival. Now, this is what I call service. Next, jewellery window-shopping in The Lanes. 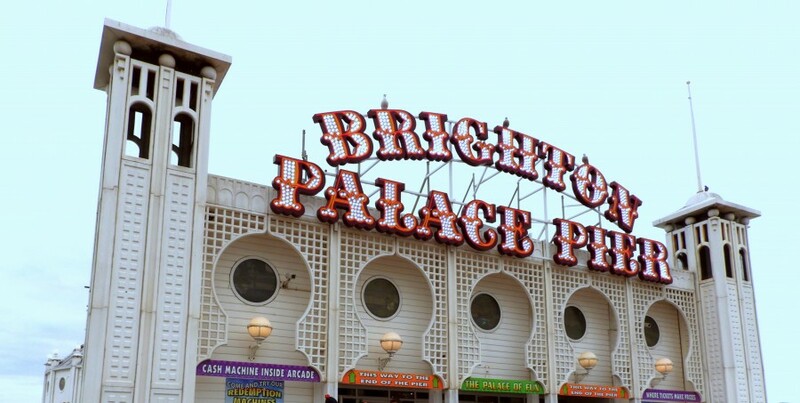 The area is tucked between the Pavilion and the seafront. It is a warren of narrow pedestrianised alleyways dating back to when Brighton was only a small fishing village. Nowadays, The Lanes are home to jewellers and designer boutiques, but there are still a few old supposedly haunted pubs where the contents of your pint disappear mysteriously while you are not looking. Back to Drakes via Sea Life, Brighton’s aquarium. 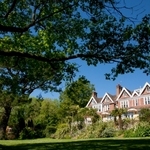 The hotel is very central to most attractions, nothing is more than 10 minutes walk away. The aquarium opened in Victorian times in a magnificent vaulted hall. This is a timeless attraction. Time flies when you are having fun, Waleska and Banksy street arts were postponed to the next day after breakfast. The latter is a gastronomical affair. Served in the hotel’s restaurant, below a stunning period spiral staircase. 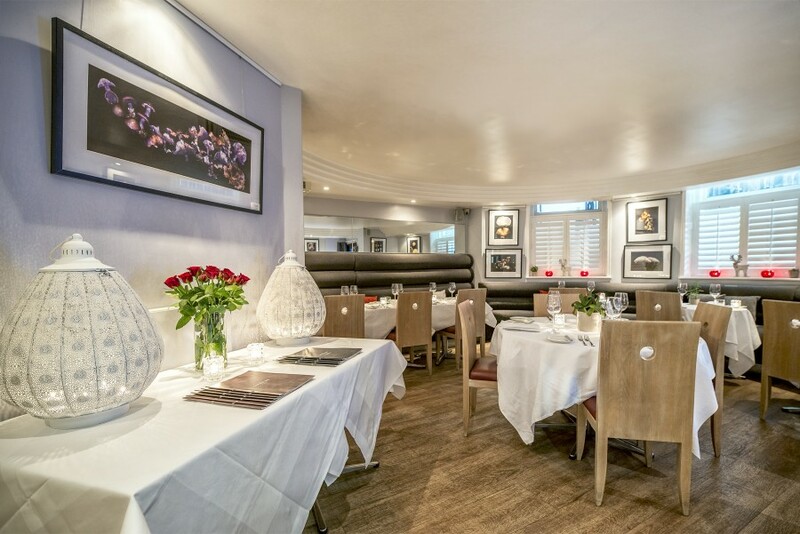 A fine selection of cheeses, charcuteries and healthier options fill a long table, while more can be ordered from the cooked menu. The ‘Bijou option’ is a take on the traditional English Breakfast where you are in control of the ingredients. This year, Drakes is turning 15, to mark the occasion, the lounge will be redesigned, time to give it a more contemporary look. It may have been a case of too many Marmite soldiers but I found it difficult to extract myself from Drakes, a place replete with chic and charm. Car parking bay cost £15. Public transport: Southern Railways run direct trains from London Bridge and Victoria station. Typical journey time to London Road (Brighton) from London takes an hour. Off-Peak Return tickets available from £37.30.